Marybelle couldn’t take any more abuse. As her abusive husband lay on the floor, Marybelle Rockford dared not wait to find out if he was dead or just unconscious. Her life and that of her unborn child depended on her escape from Chicago. She gave birth in Whispering Bluff, Colorado, and decided it was as good a place as any to begin her new life—as Mary Smith. John Aubrey’s four-year-old son, Timmy, hasn’t spoken since the night he witnessed his mother’s fiery death. When their neighbor, Mary Smith, rescues the boy from another episode of sleepwalking, a friendship begins to grow. Has God brought these two broken families together to help heal their wounded souls? Or will Mary Smith’s violent past coming knocking at her new home’s door? 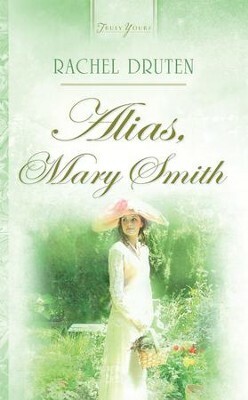 I'm the author/artist and I want to review Alias, Mary Smith - eBook.